The elk rut each fall is a time of anticipation and excitement! This year was no exception. In fact, this year turned out to be one of the best fall ruts I ever photographed! There is just something special about the fall season — the cooler air, the rich aromas, and the colorful sights all contribute to this unique time of year. 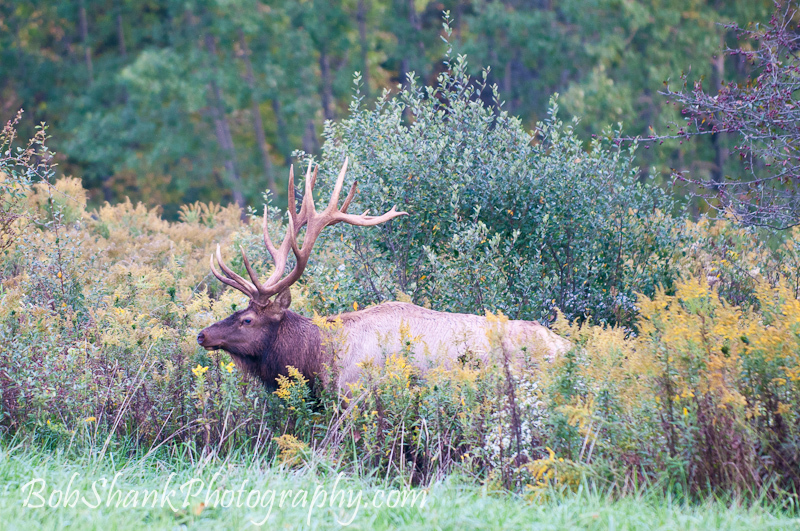 The goldenrod is in full bloom at this time of year and it provides a wonderful background for photographs of elk. I just love the bright yellow colors!